Thinking about an affordable way to commute to the airport? We have the perfect solution for you. You can now ride in one of the most luxurious town car service in Los Angeles at a price which might cost you just as much as hiring a taxi cab. You will find us at the heart of Los Angeles only a phone call away. Our high quality town car services are perfect for any of your executive business class clients anywhere in the Los Angeles or surrounding areas. Why worry about your ride or traffic? You can leave the worries of driving with us. Our corporate Town Car services are well known in the area. We have built our reputation through years of experience and our continuous efforts of quality service to our valuable customers, who keep coming back to us for any of the limousine service needs. Whether you are looking for a town car for yourself, or for a group, you will find the perfect vehicle from us. Our town car services, including our Lax airport services which cover a wide area in the Los Angeles, California, with our large fleet of vehicles to choose from, for any occasions. Our experienced courteous chauffeurs will pick you up from your desired destination and drop you off, well within your time frame for a comfortable journey. However, you do have to call for our service ahead of time in order to make proper arrangements for you, especially if you are looking for one of our specialty vehicles for a larger group, or for any special occasion. We have vehicles available for every occasion and you may choose a vehicle from our large fleet according to your needs. We have town cars, limousines, stretch limousines, SUVs, stretch SUVs, party buses with disco floors installed, and many more. Our services are open 24 hours a day, seven days a week, so you can call us anytime you want, to place a booking, for a price quote, or for any questions you may have, regarding our Town car Service, service area, our vehicles, or regarding any information that you need to know. Our operators and knowledgeable customer care representatives are standing by to answer your phone calls. You may also receive a price quote through our website. 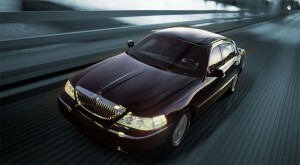 We offer Town car services in San Fernando Valley and Los Angeles area. So, make an impression on your business associates or impress your friends and show up in style for any occasion without any worries in one of our luxury vehicles. Our luxurious vehicles will make sure that you look elegant while our expert chauffeurs will ensure that your rides is comfortable and safe from the time you get in our vehicle till you reach your destination.